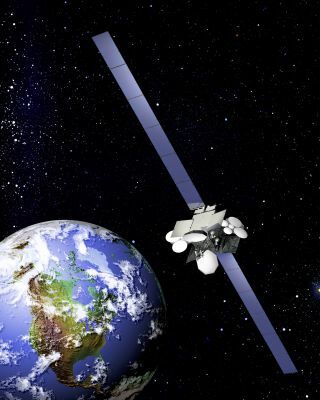 PARIS — Satellite fleet operator Telesat on Oct. 7 said its Anik F2 satellite, which delivers service to Canadian and American subscribers including the WildBlue broadband service, returned to service after being shut down most of the previous day. The Anik F2 satellite had gone into automatic emergency sun acquisition mode Oct. 6 following what Telesat described as "a routine maneuver." The maneuver "triggered the satellite to place itself into a safe mode, shutting itself down and pointing itself at the sun to ensure it remained powered," Telesat said. "The software error that led to the anomaly appears to have been caused by a software update that was recently provided by the satellite manufacturer. That particular software update was not re-loaded onto the satellite." Anik F2 was launched in July 2004 for what is expected to be a 15-year mission. It is a 702-model spacecraft built by Boeing Space and Intelligence Systems of El Segundo, Calif.